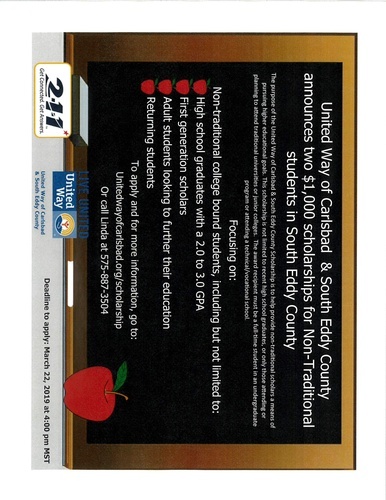 United Way of Carlsbad and South Eddy County announces two $1,000.00 scholarships for Non-Traditional students in South Eddy County. These scholarships are to help provide non-traditional scholars a means of pursuing higher educational goal. Applications are being taken now. Deadline to apply is March 22, 2019.